Your young Lewis or Clark is ready for a day of discovery when dressed in the Columbia Boy's Silver Ridge Shirt. Its lightweight nylon mini-ripstop has integrated Omni-Shade protection, so repeated applications of sunscreen--which he already avoids like the plague--won't be overly necessary. The Omni-Wick polyester mesh lining dries quickly in case of splashes, perspiration, or an "accidental" dip in the river. 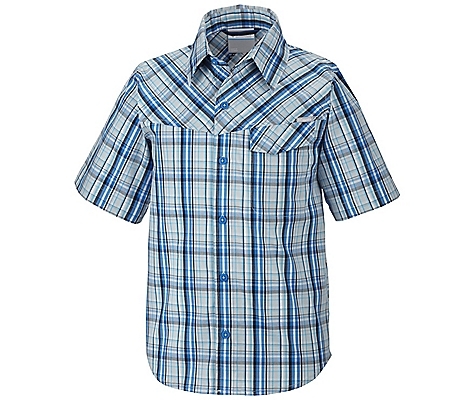 During the heat of the day, your son will appreciate the roll-up sleeves and well-placed shoulder vents. Hook-and-loop closures on the extra-large chest pockets secure any treasures he finds along the trail. 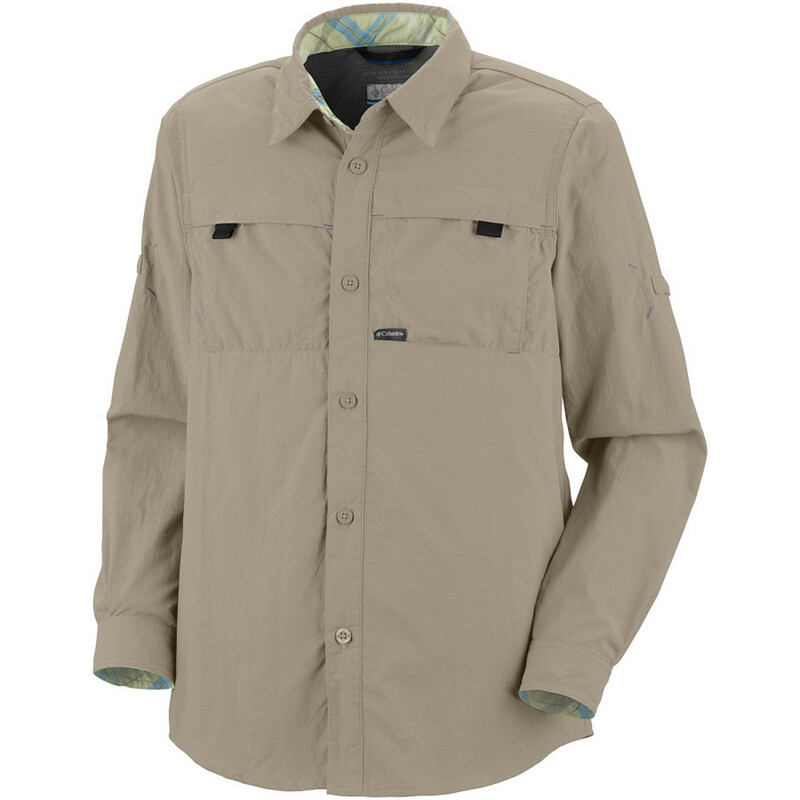 Let your junior adventurer run wild with the Boy's Columbia Silver Ridge Long Sleeve Shirt. 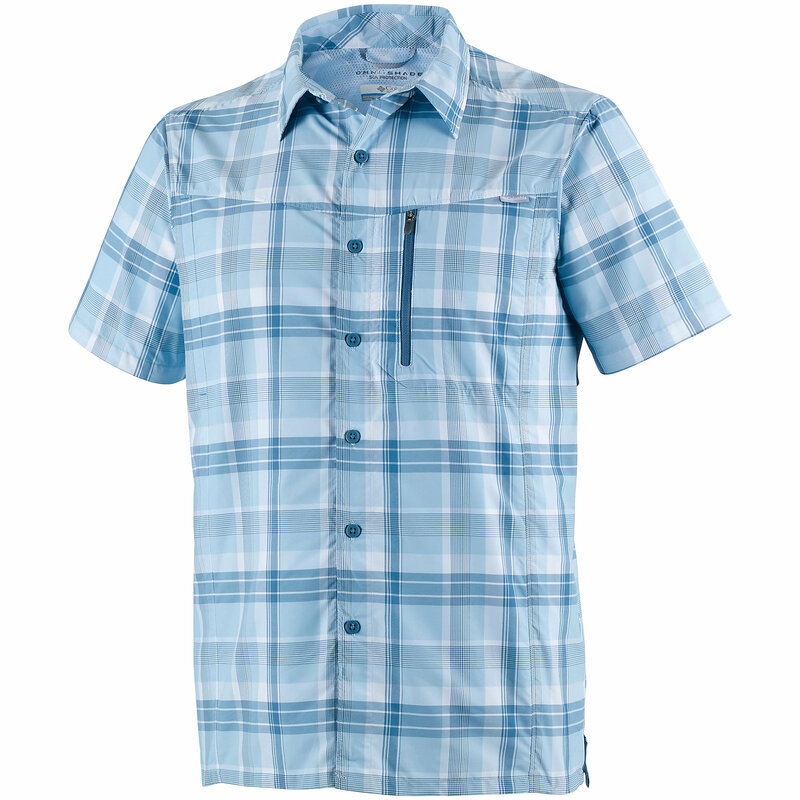 This high-performance button down shirt is rugged and stylish and blocks harmful rays with Omni-Shade UPF 30 sun protection. 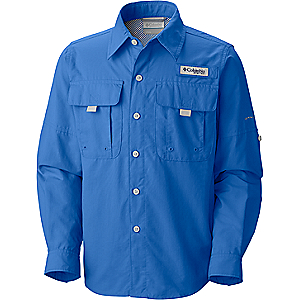 Strategic venting provides breathability for warm, outdoor excursions, and the nylon ripstop fabric is moisture wicking and quick drying if your little man decides to splash through the creek or a sudden downpour moves in and attempts to put a damper on his fun. Two chest pockets with Velcro closures keep small essentials secure whether he's learning to tie on a fly while out fishing with Dad, or doesn't want to lose his Swiss army knife while exploring the woods around camp. 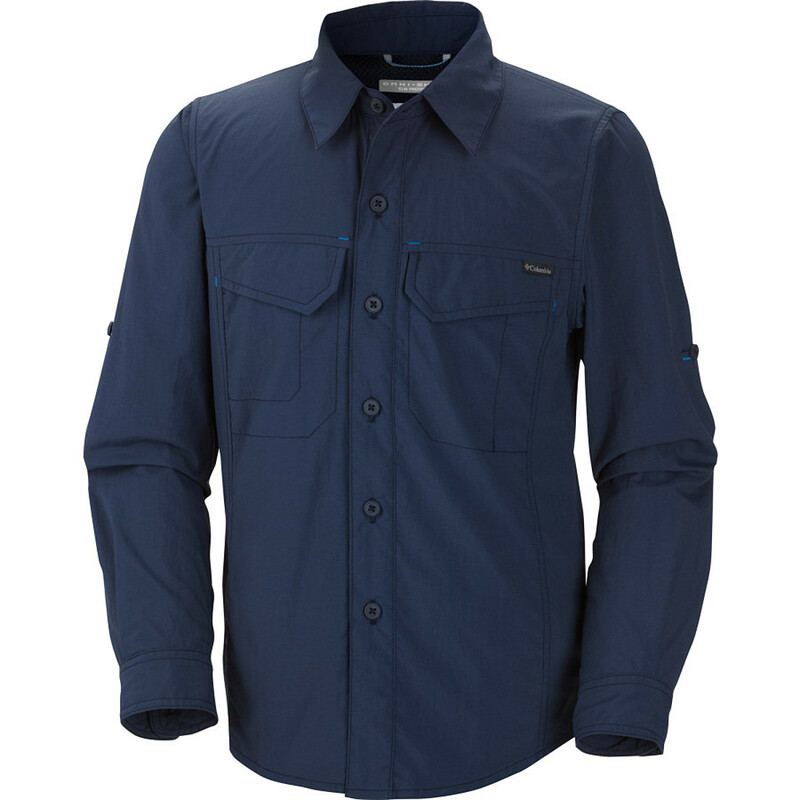 From Scout Camp to a weekend in the woods with the family, the Columbia Boy's Silver Ridge Long Sleeve Shirt has everything he needs to keep him going strong on any adventure. 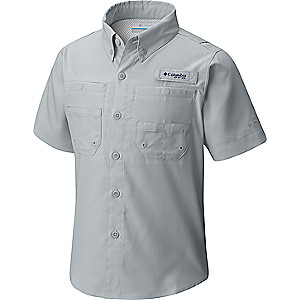 Strategic venting and button-secured roll-up sleeves tag team to deliver superior breathability for warm, active days and the nylon fabric is wicking and quick-drying in case your little explorer finds himself in a sudden downpour or impromptu water fight. Built-in sunscreen shields him from harmful UV rays and handy front pockets store everything he needs for a full day of trekking. The Boys' Silver Ridge Long Sleeve Shirt has been discontinued. The Columbia Boys' Silver Ridge Long Sleeve Shirt is not available from the stores we monitor. It was last seen January 9, 2018	at Backcountry.com.